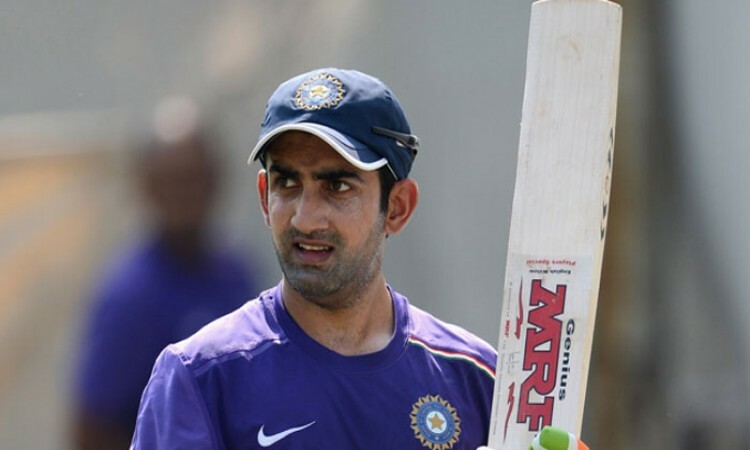 New Delhi, June 13 (CRICKETNMORE): A day after Navdeep Saini was included in the Indian Test squad, Gautam Gambhir on Tuesday slammed former cricketers and Delhi District Cricket Association (DDCA) members Bishan Singh Bedi and Chetan Chauhan, who had earlier objected to the pacers selection in the Delhi Ranji team. Saini was called up as a replacement for fast bowler Mohammad Shami, who failed the fitness test in Bengaluru ahead of the one-off historic Test against Afghanistan, starting June 14. "My ‘condolences' to few DDCA members, @BishanBedi @ChetanChauhanCr on the selection of ‘outsider' Navdeep Saini to India squad. Am told black armbands are available in Bangalore too for INR 225 per roll!! !," Gambhir wrote on Twitter. "Sir, just remember Navdeep is an Indian first then comes his domicile @BCCI," the southpaw added. Significantly, Bedi and Chauhan had earlier opposed Gambhir's decision for the inclusion of Saini in the state Ranji team as the medium pacer hailed from Haryana and had not represented Delhi in age group cricket and was thus seen as an outsider. Saini made headlines in domestic cricket after a great season with the Delhi Ranji team, which finished runners-up to Vidarbha in the 2017-18 season. The 25-year-old became the highest wicket-taker for Delhi in the previous season after scalping 34 wickets from eight matches. So far, Saini has taken 96 wickets from 31 first-class games.